Shopping for Tomb Raider Vinyl Figures? Lara Croft has traveled the world and survived many adventures to become the Tomb Raider! Her most epic adventure brings her to the Funko collection as a Vinyl Figure. 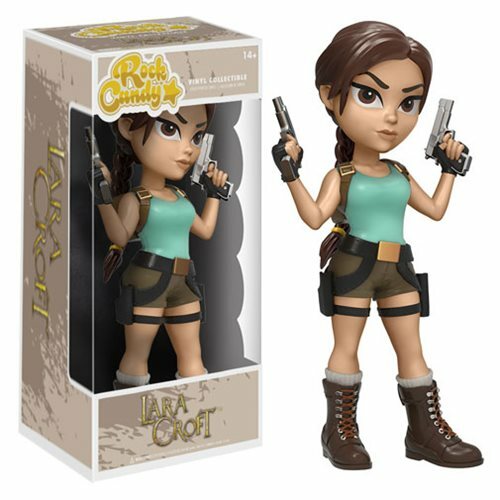 Packaged in a window display box, the Tomb Raider Lara Croft Rock Candy Vinyl Figure measures approximately 5-inches tall. Ages 14 and up.